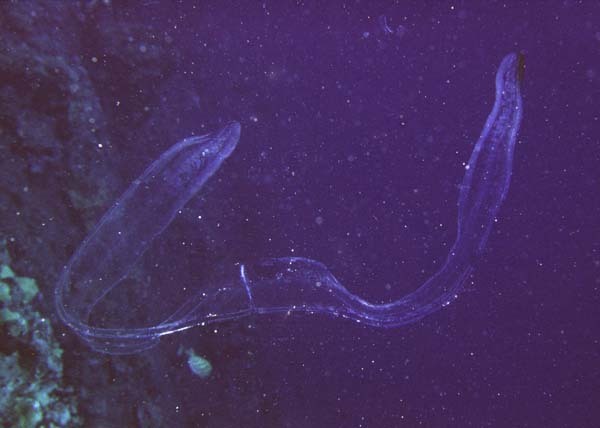 "I wondered whether you could help me out regarding some worms that I observed on Diadema during a night dive last week. 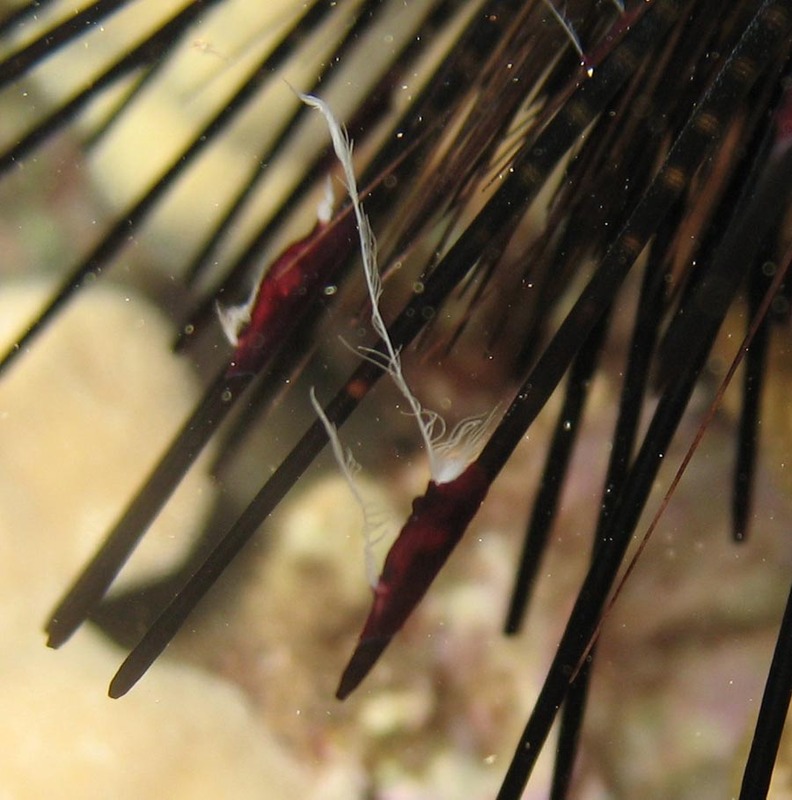 These feather-like creatures (see attached pictures) hang from small, red thickenings in the urchin's spines that were otherwise black. 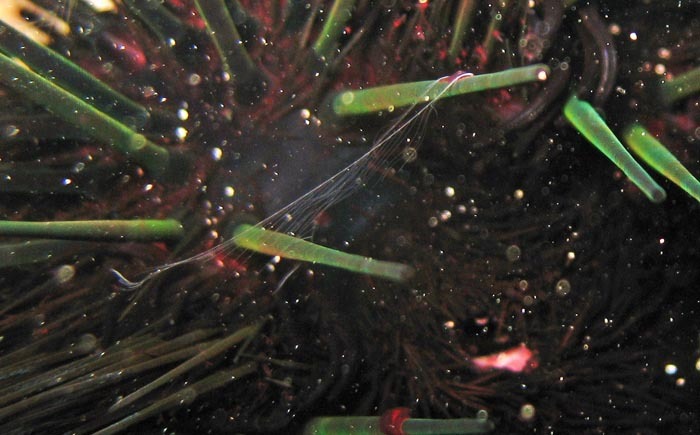 The number of these organisms varied between 1-30 per urchin and while the larger ones induced these red bumps, smaller ones were coming from a small hole in the urchin's spine. All these featherlike creatures were flapping around in the current and retracted once they caught some particle that floated by. I estimate that ~80% of the urchins (Diadema only) at this site (Kahekili/ Maui) carried these additions around. I wondered if you might know this organism by name and/ or reputation and would be willing to guide me on what to think of this." Those are ctenophores - most species drift in the water like jellyfish (popularly known as comb jellies), but are a few live on the bottom or attach to other animals. It's probably Coeloplana bannwarthii Krumbach, 1933, which according to Reef and Shore Fauna of Hawaii Section 1 [Bishop Museum Special Publication 64(1)], p. 267, is symbiotic with urchins of the genus Echinothrix and Diadema in Hawaii.